These are all very legitimate questions that need to be addressed. Most young people want to buy a house at some point, they just aren’t sure whether they can or when the best time is. The most important step in the purchase process is meeting with someone you can trust that is willing to work with you to develop a plan for you. Whether you buy in 5 months or 5 years, it is critical to get on a Path2Buy. At The Family Mortgage Team in Atlanta, our loan officers have gone the extra mile for individuals and families in your exact situation. 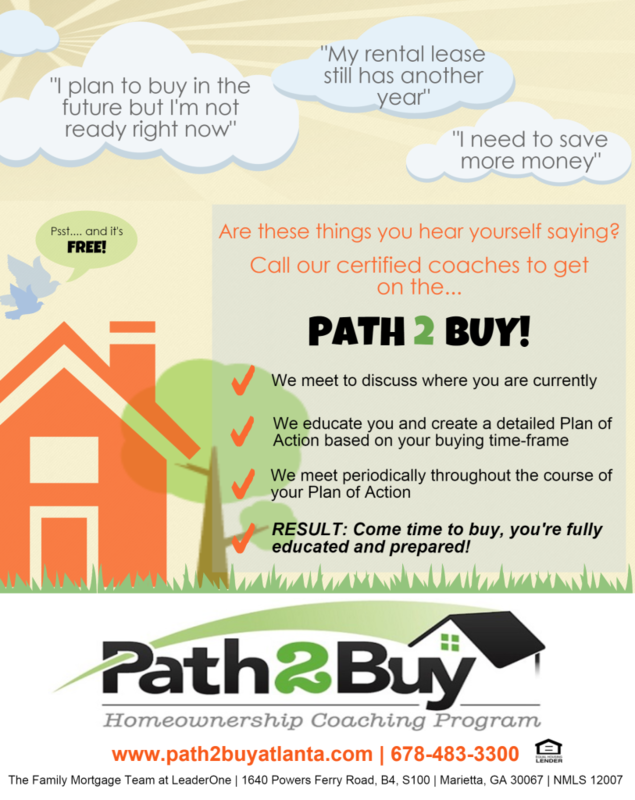 We are Path2Buy Certified Coaches; and what that means to you, is that we have the experience, education, and tools to work with you to develop an individualized plan to get you on the right path to home ownership. Whether that is just a few months or a few years down the road …..visit www.path2buyatlanta.com to learn more about a free program that empowers you to purchase a home!